Brain diseases and disorders start 15-40 years before they actually are diagnozed. At the SUPER Human Brain Masterclass, we will teach you the best ways to prevent these disorders by upgrading your brain to superhuman. >You will gain increased energy, mental clarity and heal rapidly by leveraging existing technology, nutrition and advanced solutions for next-level brain performance. Join me from December 3-9, 2018, free and online! The brain is under attack — disorders like depression, anxiety, headaches, ADHD, memory loss, epilepsy, dementia and other neurological disorders are MORE prevalent than ever before. Compared with other disease areas, central nervous system disorders have had the highest failure rate for new medications in advanced clinical trials. Most of the drugs meant to treat diseases associated with the brain, including Alzheimer’s, Parkinson’s, MS, ADHD, anxiety and depression, fail. Period. What is “superhuman?” 99% of the population is focused on treating the symptoms of brain-based diseases and disorders. Remarkably, the 1% who focus on cultivating a healthy, high-performing brain often see symptoms disappear as a side effect of getting healthy and restoring function. “Super” can be simple. >Choose to live above the status quo by addressing brain health from a different perspective… with superhuman upgrades! You are not too young, young is when to begin! The Superhuman Brain Masterclass will give you access to the upgrades you’ve been looking for; maximized memory, exceptional focus and greatly productive brain function. It is time to become superhuman — it is the upgrade you have been waiting for, whether you\’re in need of healing or enhancing your brain! When you join me for the Super Human Brain Masterclass, you will learn the Super Human Brain proprietary methodology, a plan with simple checklists, step-by-step solutions and little-known protocols that invite healing, brain upgrades and next-level performance. Gain this wisdom during Super Human Brain Masterclass, December 3-9, 2018! Learn Tips and Secrets From Experts Who Became Super Humans! It’s no doubt we are in a time of crisis, in which our brains are under serious attack. 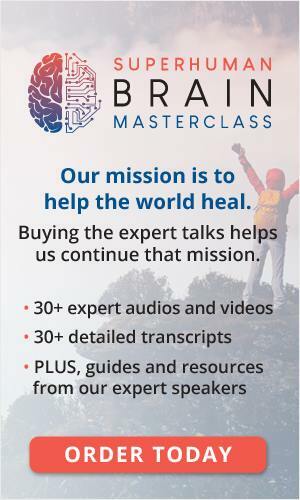 At this epic masterclass, you’ll learn the best ways to prevent brain disorders by upgrading your brain to superhuman status. Plus, as a side effect, you’ll gain increased energy, mental clarity and rapid healing by leveraging existing technology, nutrition and advanced solutions for next-level brain performance. Yes, it’s time to be superhuman! Who does not want to feel superhuman? It starts today when you register now! Protect your brain, this handy eBook can help! Get this vital, 30-page eBook from Drs. Ryan Wohlfert and Isaac Jones, How to Avoid and Heal the Toxic Brain, and learn proven, natural solutions to overcoming brain diseases and disorders! >The first step toward healing and preventing brain disorders is to understand where you’re encountering toxins. Identifying and eliminating them is essential to healing and reversing brain diseases. This 30-page eBook will walk you through your kitchen, and all the various ways it can hurt you (and how to protect yourself! ): cookware, storage ware, water, cleaners, cutting boards and more. Plus, it will provide you with a list of 8 superfoods to help you become superhuman! And, be sure to join us for the start of the free, online Superhuman Brain Masterclass — over 30 experts gathered to provide you with proven solutions to heal and upgrade your brain to “high performance” for life! The Superhuman Brain Masterclass started today! Don not miss 30+ amazing experts teaching you about how to prevent and heal from brain disorders and optimize brain performance — learn with me today online for free! Today at the Superhuman Brain Masterclass, we will examine how skin care, oral hygiene and hormone balance play a major role in the way your brain heals and repairs, or weakens and breaks down. Learn how to optimize skin, oral and hormone health for maximum brain focus, clarity and energy! Sleep and exercise may seem like opposites, but they both protect existing brain cells and promote new cell growth! 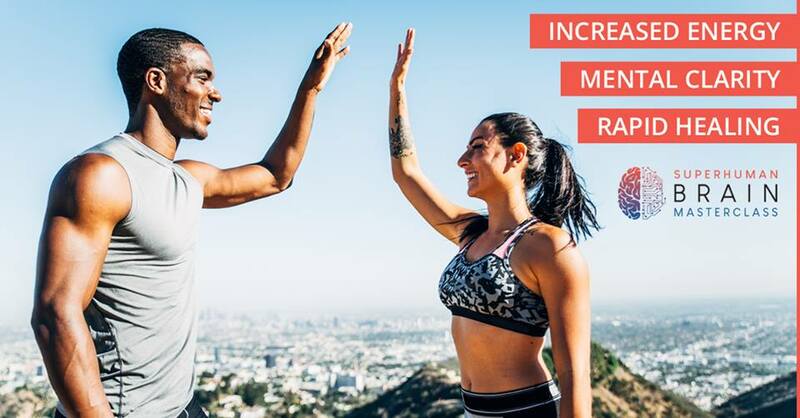 Today at the Superhuman Brain Masterclass, you will learn how to improve memory, thinking and mood using upgraded fitness and sleep strategies. Today in the Superhuman Brain Masterclass talks are jam-packed with crowd-favorites! Dr. Wohlfert and Dr. Jones explore brain detox and healing strategies, and fan favorites Jonathan Otto, Dr. Peter Osborne and Wendy Myers review the effects of toxins, heavy metals, autoimmunity and more. Christa Orrechio rounds out the day with nutrition and lifestyle hacks. You won\’t want to miss a minute! Your mind is a powerful driver of focus, productivity, and performance, as well as peace, joy, and happiness. Today at the Superhuman Brain Masterclass, you will not only learn how to harness the power of the subconscious mind but also gain natural solutions to heal brain injuries, concussion and trauma. 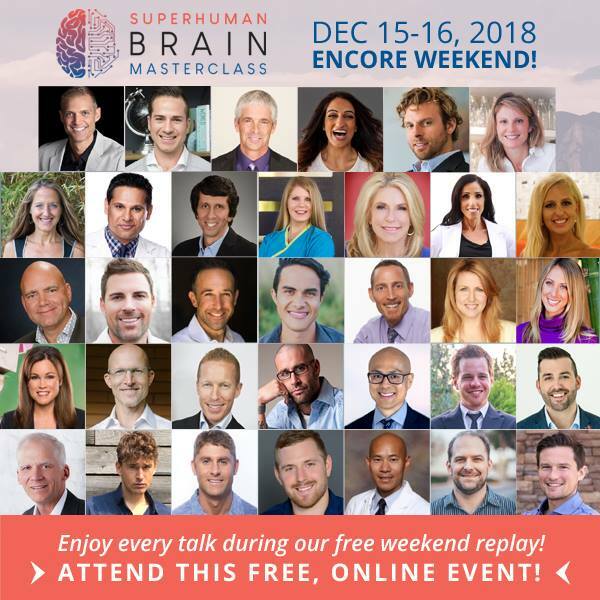 Today at the Super Human Brain masterclass, you will learn advanced techniques and lifestyle strategies: productivity hacks, brain supplements, and nootropics, plus lab and genetic testing for next level performance, energy and focus! Today at The Superhuman Brain Masterclass, learn the lifestyle habits and hacks of the highest performers (with a focus on keto and fasting). Plus, discover how to protect your brain against aging, neurodegeneration and cognitive decline. Thank you for joining us. Let us know how your Tuned Up Body Journey is doing.